Final Fantasy is a single player random battle RPG and is in the same style as Final Fantasy VII & VIII. 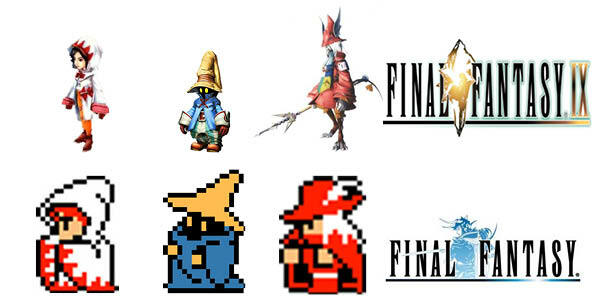 It also marks the end of an era because it is the last Final Fantasy game to be on the original PlayStation. There are incredibly eight Final Fantasy games on the PS1 from the main series nine if you include Final Fantasy Tactics. Final Fantasy IX was a PlayStation exclusive title in 2000 and then it was finally released after 10 years for PlayStation Network in 2010. You can now digitally download the game through various sites and if you you still want a disc you get a PS1 and PC copy directly from Square Enix. There is an upcoming festival to celebrate Princess Garnet’s sixteenth birthday and a Zidane has been hired to kidnap her. He does not know why he is supposed to take the princess but the Queen's odd behavior might have something to do with it. 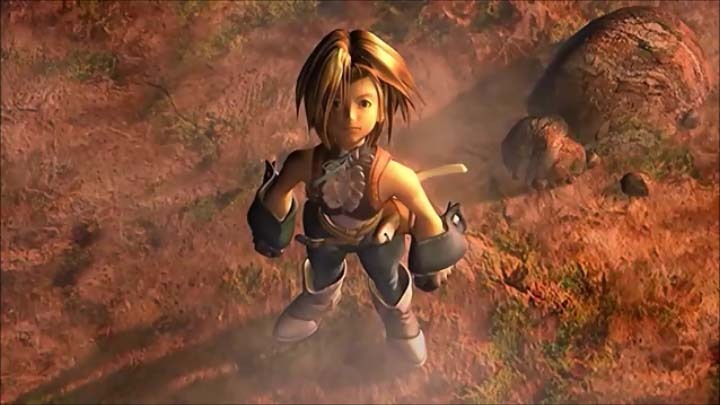 Final Fantasy IX adds several elements that are not part of previous Final Fantasy games. You are not sure why everybody is doing what they are doing. Most of the time you are left in the dark about everybody’s motivations and we kind of like that. There was always something unexpected happening during the story. Plus the story is more interactive, there are sections that are optional that you don’t have to watch if you don’t want to. They are called Active Time Events and they pop up to let you know what else is happen with a different member of your group that is not currently with you. These optional areas do fill in the plot points and you do sometimes get extra things if you watch them. RPG level up system is set up based on experience points and what accessory/armor/weapon you have in your inventory. You level goes up with experience points but your abilities like magic and summon, etc. depends on what you have equipped. After a while you will power up that item and you get to keep that ability with having that item equipped. We loved this new system but it has a major flaw. You spend almost half of the game separated into two groups mostly not of you own choosing. So, when you switch from one group to another you can’t unequip that item and you miss an opportunity to level up your team. Even when you know that you are about to switch groups it does not matter because you are about to fight a boss and there are a lot of bosses, so you still need those powerful items. It was a constant issue from the start. If you fight enough battles you can make up the difference before the end. 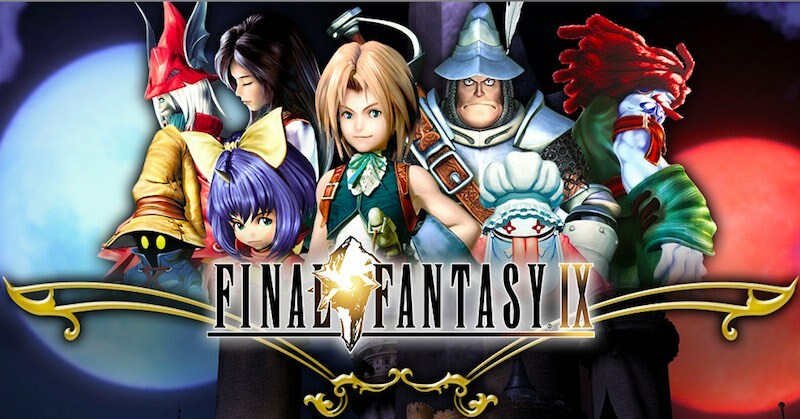 Final Fantasy IX took us almost 50 hours to get through and that is a lot of gameplay for this style of RPG and replay is still above average because you will want to try it again and do the extra stuff. There is a card battle game, you can make your own items and collect all of the abilities, summon monsters and blue magic abilities. The main male character comes off at times like a chauvinist at times and we did not like that and it was 15 hours into the game before we could use summon magic but these minor gripes don’t hold the experience back. We love that there is this throwback to the 1986 Final Fantasy on the NES. Certain names of characters and even the look and powers will remind you of how much fun the first game still is and how good FF IX is. The $10.00 price of Final Fantasy IX is easily worth it. Sales happen often for under $7.00 and at times even under $5.00, both amounts are a MUST BUY PRICE!